Manor House Publishing Inc., 9781988058450, 146pp. "This collection of poems features six thematically distinct parts displaying a full spectrum of human emotions, and capturing in verse the shared aspects of our experience. Each poem seems to reflect how deeply the author had travelled into his personal experience to retrieve and process its meaning, and to raise it to the level of the universal. Each part exudes, thus a singular atmosphere of spirit, and depicts the author's pilgrimage into the landscape of his soul, excavating the multiplicities of his self during the different legs of his spiritual journey. His poetry aims directly for the heart speaking to the reader in clear and loud words, sometimes screaming the truth; it is incisive, devoid of redundant imagery and heavy-handed symbolism that might obscure the truth, both the poetic and human one. n Part One, titled "Bittersweet," Prattis explores his personal, as well as the universal darker side of humanity. His verses bear witness to the disillusionment, pain, senselessness and profanity of war, prodded and perpetuated by the greed for power. His criticism ripples forth from feelings of helpless rage, and from these feelings he shouts out his message to the humanity asking us not to abandon civilization, and not allow it to turn into "a monument to the dead." In this world of darkness and annihilation, a world brimming with the "smallness of men," Prattis sees poetry as a force of transmutation that "fills the Cosmos with meaning." In that sense, like many other artists, Prattis uses poetry as a vehicle through which negativity is alchemized into a higher aesthetic meaning. Reflecting on the tragic and shattering events of 9/11, Prattis appeals to us to fight terrorism through the light of compassion, integrity and courage, thus shining a torch of light into darkness, pitting truth against power. The poem Punk Palace in the Moonlight presents a sudden shift in the mood embracing the reader in a dreamlike slow dance, in which one is fused with the stars, bathed in moonlight tinsels, enveloped in a tranquil mood conducive to the calm acceptance of life's dualities. 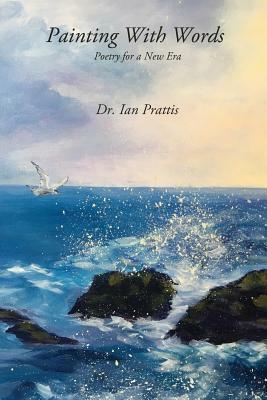 Part Two of this anthology puts on full display Prattis' passion for nature voiced through his gift of painting pictures with words. He infuses our senses with the colourful images of nature's cycles and its "undeterred rhythm" of change alternating from decay to renewal, from the melancholy of loss to the joy of a new beginning. His poem "Weaving in the Forest" paints a splendorous image of a lake, awakening the senses to the striking beauty of the depicted scene. Prattis' verses devoted to nature portray her as a living and breathing organism worthy of our utmost reverence and respect. Part Three, Agua Viva ushers the reader into the world of Mexico and the Mayan civilization. The poems are a perfect cocktail of ingredients ranging from the shock upon the author's encounter with "smog enveloped" Mexico City to the lulling cadence of the monk chants blended with the air fragrant with the intoxicating scent of flowers..." (excerpt from the foreword by Jana Begovic, author, Poisonous Whispers).